Please use a good quality white wine for this recipe. You can also add some fresh herbs like thyme and rosemary. I served mine with mashed potato. It was awesome. I wish you a very pleasant week! and then dredge in flour. 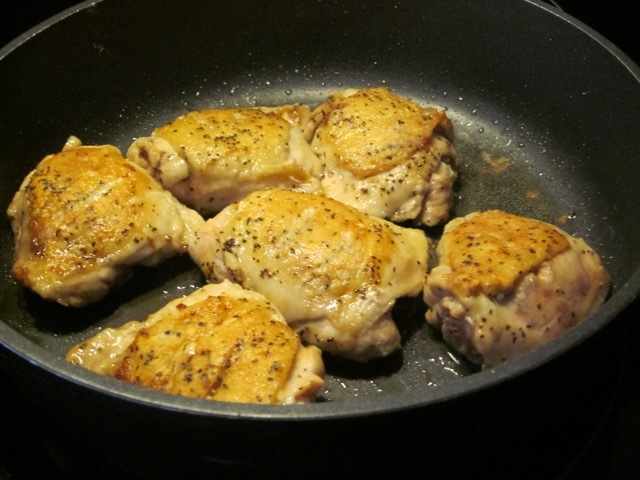 Heat oil in a non-stick skillet and brown chicken on both sides. 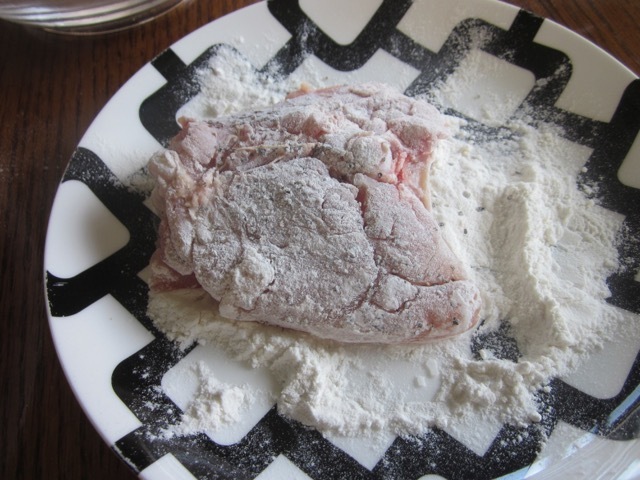 Remove chicken and set aside..
Add 1 level tablespoon flour to the pan and stir to mix. 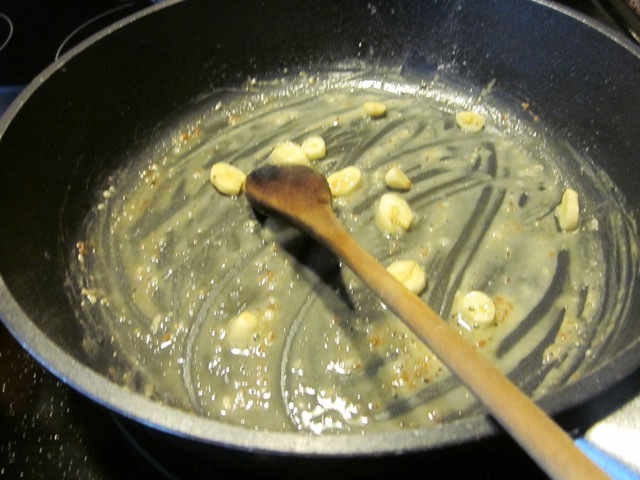 Then add the sliced garlic and cook for two minutes under low heat. 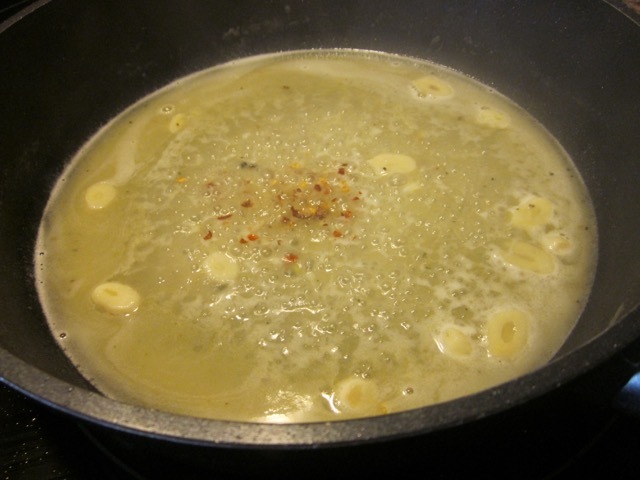 Add ½ cup of stock (broth) and stir until slightly thickened then add ½ cup white wine and bring to the boil. Simmer uncovered five minutes to reduce the sauce substantially. 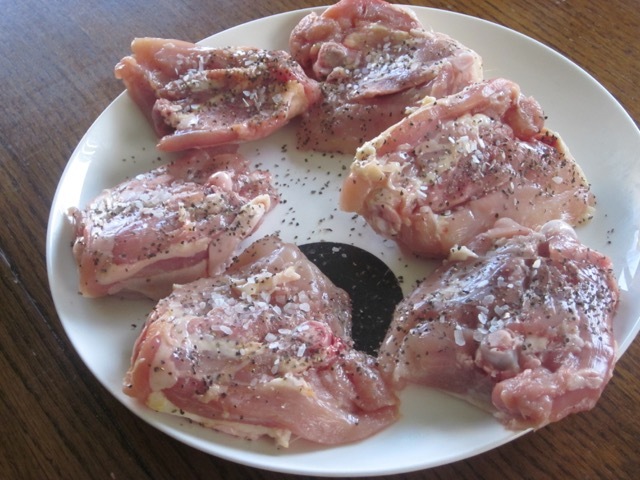 Season chicken with salt and freshly ground pepper and then dredge in flour. 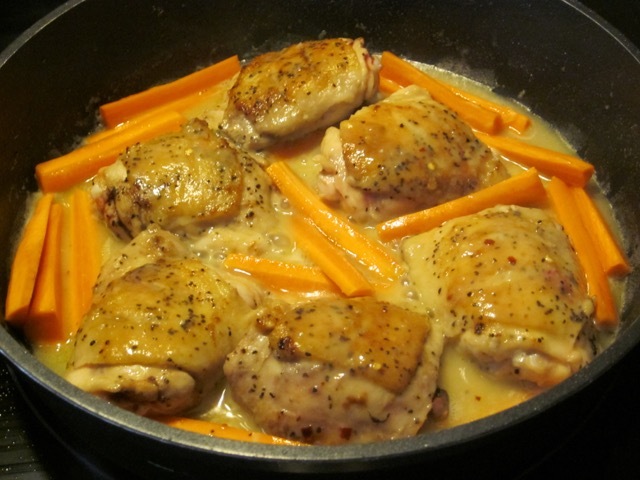 Heat oil in a non-stick skillet and brown chicken on both sides. Remove chicken and set aside. 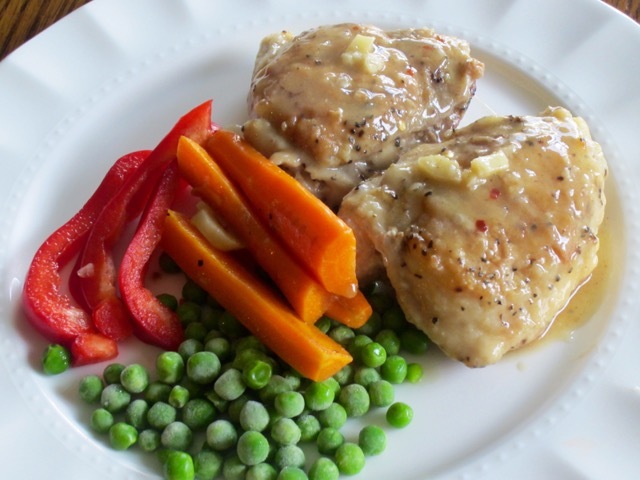 Serve the chicken with mashed potato or rice. Drizzle the sauce over the chicken. My kind of weekday meal, delicious and easy. Besides, a glass of wine while cooking is always a bonus! Yes it’s sure easy to make and tastes really nice too! I’m always looking for new chicken recipes and this looks like a must try. Thanks! Looks good and very easy! Thank you, Anna. It tasted good too!